The last lecture of the day was given by Anne Boyd Rioux on her new book, Meg, Jo, Beth, Amy: The Story of Little Women and Why It Still Matters. Anne did not read Little Women as a child; it had not given to her by her mother or grandmother. Instead she discovered it in grad school through a literature class comparing Little Women to Mark Twain’s Huckleberry Finn. She concluded however that in most cases, readers’ connections to Litttle Women have been organic with the book being handed from generation to generation. At a time when Anne, in her early twenties, was wondering where her life would be going, she encountered Jo March, figuring out the same questions. How could she come to be a professional writer? How would she manage career with family? Despite the fact that Little Women was written in 1868, Jo March’s voice and her experiences were totally relevant to a 20th century 20-something grad student, aspiring writer, and future wife and mother. At the end of Little Women Jo still wants to write a great book someday but has come to believe that her work will be far better after acquiring life experience. It was not a sacrifice, but growth instead. This gave Anne hope. Jo’s example showed her a woman can do it all and do it better. Little Women helps girls to figure out who they are and who they want to be. 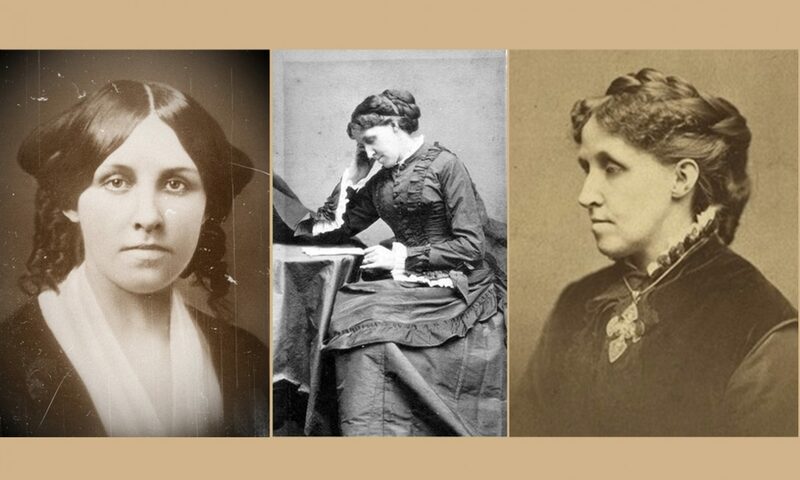 The March girls were real people with real flaws; they were not, as were children were portrayed mid-19th century literature, two-dimensional iconic images of particular female behaviors. In Little Women, there were four distinct voices beginning on the first page. Most books focus on one rather different and exceptional girl; Little Women has four uniquely different girls, offering several options for readers. It was a subversive message: there is not just one way to be a girl. Instead, there are infinite opportunities. We don’t have to be just Jo or just Meg — we can be combinations of the sisters: Jo and Meg; Amy and Jo, etc. The vision of Jo writing in the garret has had a profound effect on women writers; most women’s literature has come from Jo March. Many writers saw themselves in Jo, affirming and empowering them to follow a path that would be different from their mothers and grandmothers. This influence has been felt around the world with writers such as Simon de Beauvoir, Elena Ferrante, J.K. Rowling, and Susan Cheever, just to name a few. Each March sister changed as they grew up (or did not grow up). Typically female characters did not mature or change because they represented ideals. Bodily changes exert pressure on Jo, not from Marmee but from Meg and Amy who are in turn, feeling the pressure from their friends. Her parents supported Jo in a unique sense by giving her space and time to adjust to womanhood. Marmee lets Jo be Jo as long as she can be, sensing her daughter’s difficult transition from girlhood to womanhood. Girls from this period typically grew “down,” meaning that they submitted and conformed to the restrictions of being a “True Woman;” an example given was another popular book of the time, What Katy Did, where a Jo March-type character suffers an injury due to her high jinks resulting in her becoming an invalid; only when she renounces her old ways does she become content. The March girls grow “up,” and do not diminish themselves to fit into society’s narrow role. Meg wanted to be like her wealthy friends and “tried it on” at the Moffats but found it was not what she really wanted to be. She came to accept, even embrace poverty through her marriage to a man she loved, John Brooke. Amy wants to be admired; she turns herself into a true work of art instead of becoming an artist. Jo rejects pressure to conform but in the end she finds a way to make it all work through compromise which did not regard as sacrifice. Beth rejects the pressures to grow up by becoming an invalid; she refuses to grow up. Anne believes Beth had psychological issues that extend beyond her shyness. Anne believes that the second part of Little Women is especially relevant to today’s women because of the enormous pressures they face, emotional and physical. As violence against women in media is so prevalent today, Little Women provides a safe space where women can reflect on their lives. The development of talents — whether they be intellectual, artistic or domestic — are encouraged in each March girl by their parents with the desire to create purpose in their lives. For grown women the transition to marriage and family is significant. An example is Marmee’s counsel to Meg to not only to invite her husband John into the nursery, but to spend time with him apart the children. Emily Watson’s portrayal of Marmee in the BBC/Masterpiece series showed a more human and well-developed character even beyond the text. The series dealt with the anger issues in an honest fashion showing that we do not need to be perfect to be loved and supported. In one scene Marmee was impatient and testy as she prepared to leave for Washington to care for her sick husband, snapping at Jo. Should boys read Little Women? The final issue that Anne brought up resulted in much conversation — that of boys and whether they should be encouraged to read Little Women. Anne felt that they can and should. The problem is that on their own, they won’t and this prevents it from being taught in school. Because of the difficulty in getting boys to read, educators cater to them by the use of books geared towards boys. 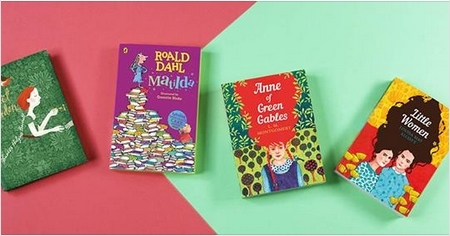 There is an unnecessary stigma attached to girls’ books. Yet in many cases where boys or men have actually read the book, there have been positive reactions from male students, both grade school and college age. Anne found this out through her own teaching and in consulting with educators. She maintains that Little Women is not just a book about four girls growing up but also about a boy becoming a man. Laurie too faces pressure; this makes the book perfect for both genders. The characters are negotiating their gender as they learn how to “become” men and women. Anne believes that boys should read Little Women to see life from a girl’s perspective because few or no books that they read give them that perspective. She believes that boys are not given the life lesson that girls are human beings. If boys are not reading anything that teaches that, they will have trouble empathizing with girls even as boys are under immense pressure to become “hyper” male. Anne concluded that when Little Women was published, it appealed to everyone, growing into a cultural phenomenon that crosses all boundaries. 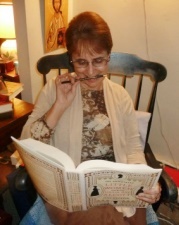 Anne Boyd Rioux is a Professor of English at the University of New Orleans. She is the editor of the Penguin Classics edition of Little Women and the author of Constance Fenimore Woolsen: Portrait of a Lady Novelist. She is on the Advisory Board of the Louisa May Alcott Society.